Hafro is an ever-evolving project to make the dream of a home spa come true. An idea that combines high-quality materials, contemporary design, high performance, and affordability, focusing on innovation and efficiency of every manufacturing stage. Whirlpool bathtubs, shower columns, multifunction shower cubicles,glass shower enclosures, steam generators, Turkish baths, and outdoor mini pools designed by our highly specialised research and development team, in collaboration with external designers and professionals. 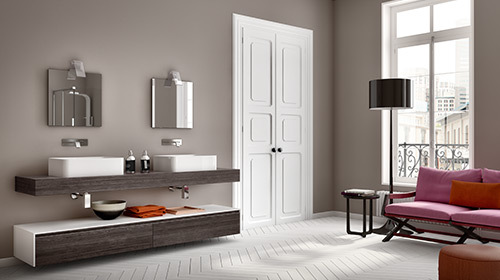 Geromin has been interpreting bathroom, laundry, and kitchen furniture for over 60 years, with a focus on practical solutions and high-quality materials. The continuous development of new products and smart modular systems results in an amazingly versatile range, which makes every utility room ever so functional. 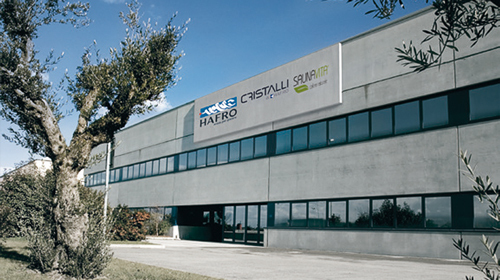 The excellence of the offering results from the group’s history, the choice to maintain the entire production cycle in the areas where the company was founded, and the exclusive use of Italian raw materials. With Sauna Vita, saunas and Turkish baths can be fitted easily in homes or recreational facilities, without requiring specially-created rooms. The projects designed by Franco Bertoli have allowed the concentration of comfort and excellent performance in saunas and Turkish baths, even integrated with showers, with different shapes and installation options. Saunas and Turkish baths are equipped with numerous accessories and options, with unique materials, proportions, and technical solutions. 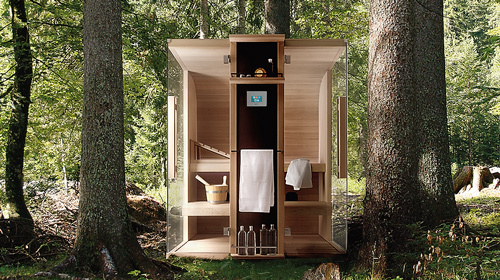 Sauna Vita skilfully combines different types of wood to ensure the highest quality. We use red spruce wood of the Tarvisio forest – used up to now to make violins and pianos – and Hemlock of the Alaska and Western Canada rainforests.